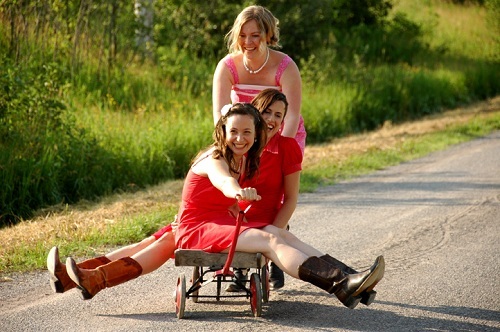 On Wednesday May 16th, WagonWheel Presents… welcomes Canada’s Good Lovelies to Sheffield for the first time. The trio head to The Greystones in support of their latest, Juno nominated, album Let The Rain Fall. Expect divine three part harmonies, instrument swapping and bluegrass tinged country folk described as a ‘sonic sunshower’. Opening the show we’re delighted to have Grassoline returning to the WagonWheel stage. Advance tickets priced at £8 are available from http://www.wegottickets.com/event/147875 or entry on the night will be £10. Doors open 7.30pm for an 8pm start. Chesterfield’s Grassoline play a bluegrass influenced brand of alt-country featuring guitar, double bass, fiddle, banjo and mandolin. Late last year they released their debut CD “Mountain & Grave”. Americana UK described the 6 tracks as having “the makings of something really special”. We wouldn’t disagree.